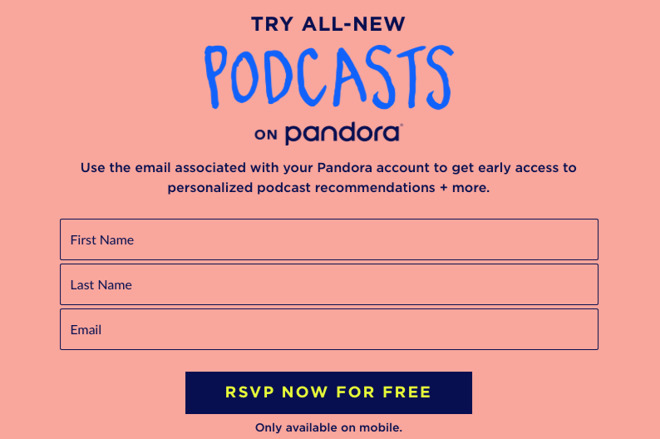 Launching first in a limited beta, the new podcast-centric Pandora service is intended to introduce listeners to podcasts they might like, with recommendations generated through a similar system to the service's current Music Genome Project that combines algorithms and human curation to offer recommendations. Streaming music service Pandora is to add podcasts to the recommendations it presents to users. While it's now only launching a beta version, the intention is that within weeks all subscribers will have podcast recommendations tailored to their interests and listening habits. "Eighty-three percent of Americans aren't listening to podcasts on a weekly basis," says Pandora's Chief Executive Officer Roger Lynch. "Making podcasts - both individual episodes and series - easy to discover and simple to experience is how we plan to greatly grow podcast listening." Pandora's music recommendations are already powered by what it calls the Music Genome Project. These new options will similarly be calculated and presented via a Podcast Genome Project. While there will also be a human team of editorial curators listening to and choosing material, automated algorithms will collate up to 1,500 different attributes of any given podcast, including topics, popularity, genre, and production type. Initially, Pandora is also partnering with podcast companies including The New York Times, NPR, Parcast and around a dozen more. While their content will presumably be recommended more often, Pandora says it will continue to recommend titles from other services such as Serial and This American Life. "The Podcast Genome Project's unique episode-level understanding of content knows exactly what podcast you'll want to discover next," says Pandora's Chief Product Officer, Chris Phillips. 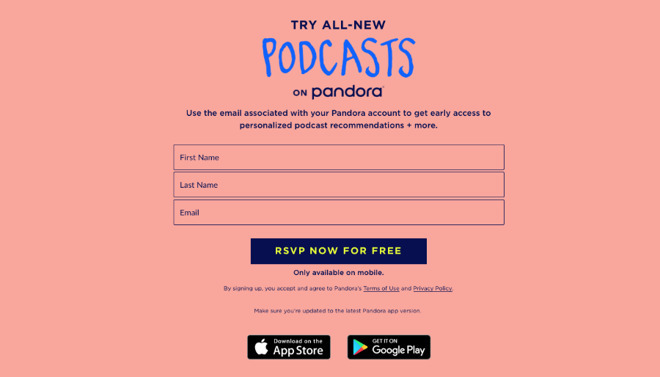 Early access to the Pandora Podcast beta program is available by enrolling on the official site. However, note that currently the service will only work on mobile devices and is confined to the US.